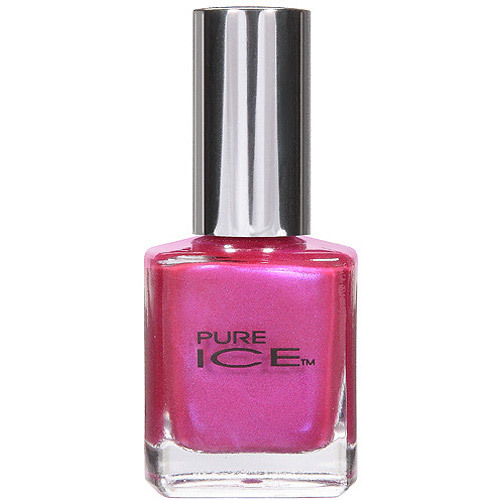 Today I have laid my hands on this very pretty colour from a very pretty line of Pure Ice to review. 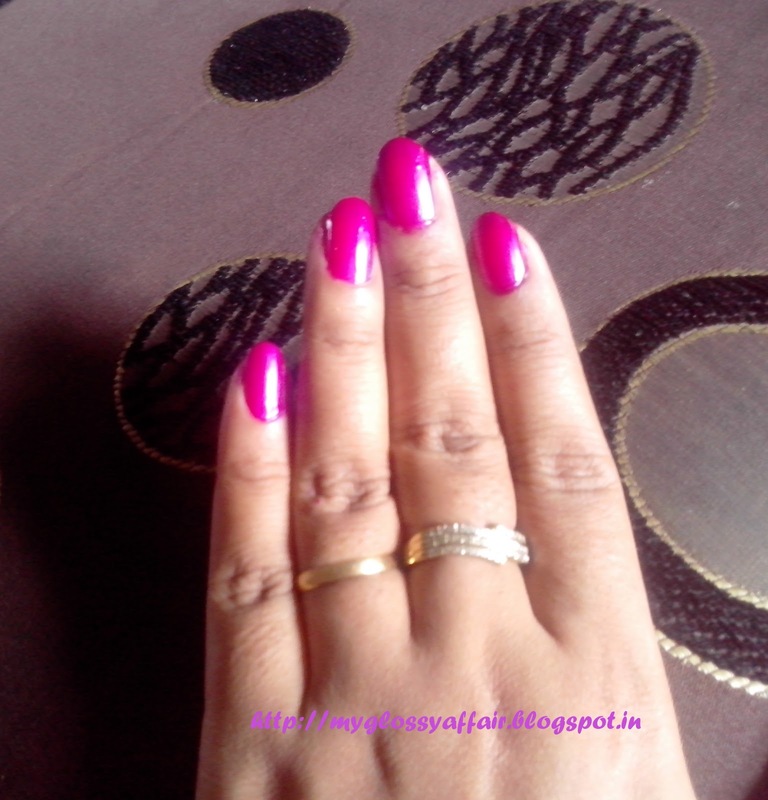 I own this nail colour from last 3 years. The shade I am going to review today is ‘Jamaica Me. 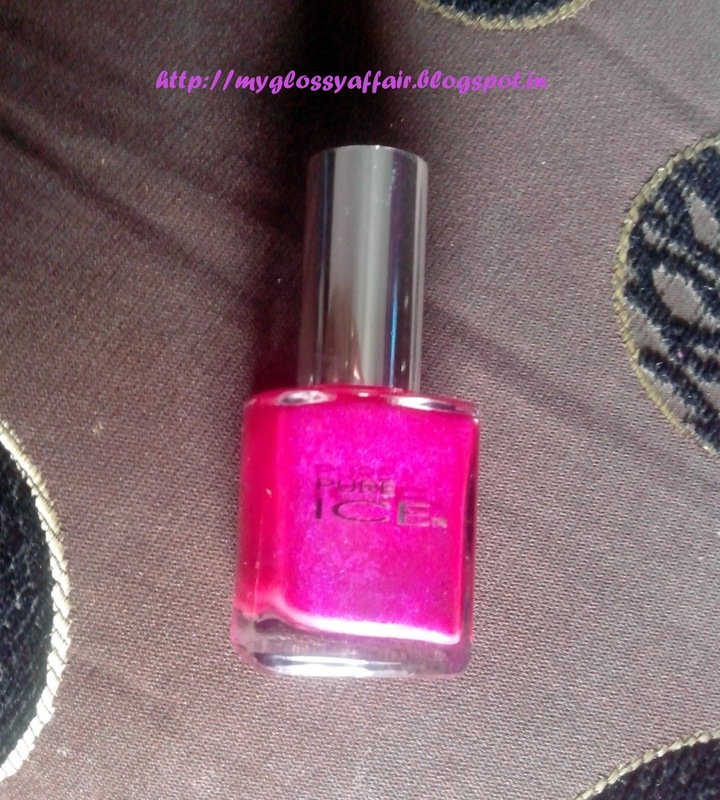 It is a fuchsia pink shade with purple glimmers and it gives a satiny shiny finish. I usually apply two coats and it becomes fully opaque without any streaking. Just Perfect. Its so easy to apply and also dries up fast. Quality nail paint with quality brush. Even the bottle is very cute, a different shape and silver shiny cap. The color is very intense and bright. It doesn’t thicken with age. I don’t need to dilute it with any thinner or so (I hate doing that- I never do, I just throw that in that case). But I am using this one for last 3 years and it has neither dried a bit nor thickened. Same consistency and just lovely. The best part – it looks lovely on all. No matter what complexion you are. 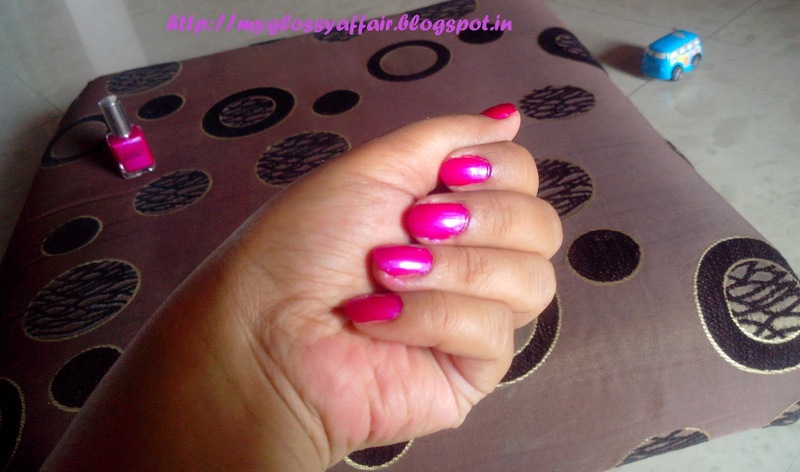 It makes the nails look beautiful and hands fairer. I love it all seasons. My all time favourite. Very pretty shade, suits all. Takes little time in applying and drying. Lasts very long, good quantity. Good staying power, easily lasts 3-4 days on its own without top coat.